Claudio Rodriguez studied art, design and photography in his native Colombia and at the Cooper Union School of Art in New York city. After graduating from Cooper Union, he returned to Colombia where he taught photography, drawing and print-making at the art school of the Jorge Tadeo Lozano University in Bogota. 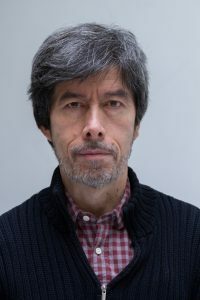 Claudio also worked as a graphic designer and illustrator and exhibited his drawings, paintings and photographs in numerous group and individual shows. Later Claudio moved to New York, where he has been working as a motion graphics designer and digital artist as well as continuing his pursuit of fine art photography and drawing.